Dr Philip Davies states “why we absolutely MUST update the Outer Space Treaty before its too late”… CLICK HERE! Join The Martians! …. We come in PEACE …. We lay legal claim to Mars land and resources … CLICK & CLAIM! Well…it’s us!… we have engineered a legally robust claim to posession of land on Planet Mars … and no, this is not another silly spurious claim to celestial land. It took months of discussions with world expert space lawyers. It required mathematical verification and the persistent targetting of Mars using lasers of enormous power and accuracy. International media, including The Times, New Yorker and BBC, have extensively covered our evolving Mars Land Claim and the Peace Campaign with which it is associated…. and we are just getting started! Watch this space, or better still, for just 1 CENT PER 10 ACRES, come and JOIN THE MARTIANS! We are people from every Country on Earth (not just current space-faring nations). We believe that celestial land in our Solar System is, as stated in the Outer Space Treaty, the “province of mankind” (humankind!!). We also agree that such celestial land & resources are indeed the “common heritage of all mankind” and should be “shared equitably” by all (as stated in the partially ratified “moon agreement”). Our claim to actual possession of the land on Mars is based on our persistent actions using powerful Earth-based lasers targetting Mars to produce an ongoing small beneficial effect. These actions are back up by well formed administrative plans for governance and control. Through our claim to celestial land on Mars, we are not just providing wealth and influence to our future family descendants … we are using the claim to prove a huge weakness in the Outer Space Treaty. You see, we love the Treaty for its strength against nuclear weaponization of space, but because it has not been updated in over 50 years, it is otherwise not fit for purpose … it provides no framework for space commerce. Hence the USA has finally got fed up with it all and drafted it’s own space law which allows celestial mining and the owning/selling of celestial resources. We agree that this is a good Space Law for USA and will encourage vibrant space commerce/mining in the near future. However, this law (and all the other national laws that will follow), rips right into the Outer Space Treaty. It is now marginalized and in danger of losing all influence, including the vital block to nuclear weaponization. It MUST be updated … soon! It has become a truly URGENT matter. The spine of the Treaty now needs additional branches to deal with new weapons, space debris, commercial ventures and legal appropriation. We have campaigned COPUOS (UN) for the last 9 years to update the OST … nothing! So instead we have decided to show the weakness of the OST in a very public manner. In an international court (probably in 2020) we will show how our celestial land claim can penetrate International / Space law. This will provide a huge jolt, perhaps sufficient to instigate an updating of the OST before it is too late. Of course, in making a competitive, ethically minded legal claim, we may actually gain vast amounts of celestial land for all our fellow claimants here …The Martians! Surely this is just legal play & triviality?... it can't have real impact ... can it? 1. Our claim to celestial land may sound super far fetched…. but please click below to see how our claim is actually well founded in current international law and has caught the interest of several leading world experts in space law. This Martian land claim has been maintained for 9 years (now early 2019). The claim itself sits well compared to the legal requirements to successfully claim difficult, distant unregistered land ON EARTH. The claim also penetrates all articles of the OST, including the prominent articles II and VI. Yet it also pays heed to the underlying theme within the OST … that celestial land is for us all to share equitably. Now we can all argue what equitable really means when it comes to the costs involved in celestial mining …. but we provide a very low cost opportunity for people of all nations to gain a credible claim to huge amounts of Martian land. 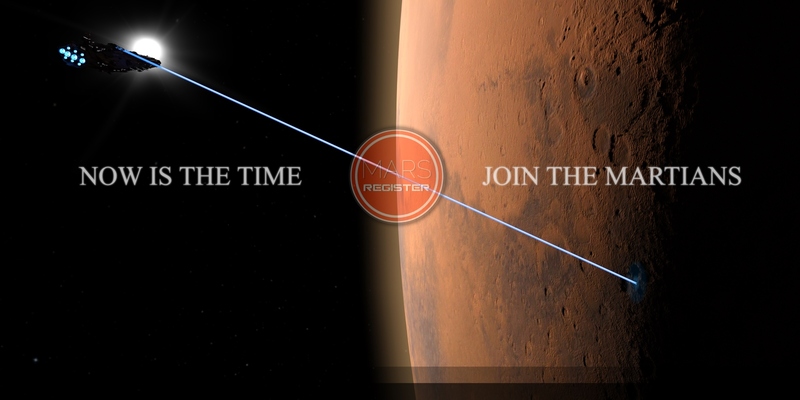 Just $9 can now get you a legitimate, recorded claim for 100Sq Km of land on Mars. Companies with more advanced commercial plans can claim specific areas for modest fees. We now also include a further two claims for all our fellow Martians…. 2. Whilst we do expect that in future it will become acceptable/inevitable to permit ownership of celestial land, we recognise that in the shorter term it may be legally tortuous to gain ownership of Mars land for our fellow claimants. So, for the last 2 years we have piggy-backed on the legal text of the US Space Act. This act allows space miners to obtain resources in-situ on a planet or asteroid. Obtaining means to acquire possession. This then allows them to own, use, transport or sell the resource. It appears that the act or obtaining (=gaining possession) could be achieved in advance of going to the planet to mine the resources (given the huge cost of planning for a celestial mining mission). Thus, based on our plans for governance, control, resource use and extraction, together with our persistent Mars-laser actions, we have submitted claims to UN and US/UK governments which claim possession of the planetary resources in situ and therefore demand right to own, use, transport and sell these resources. 3. We also make a further separate claim… modelled on the ITU allocation of GEO satellite slots, we claim 2 million mining slots (most are varying from 25-100 sq km in size), positioned on Martian land as per “Mars-for-Sale: Globe 1” found in our Media section. For all 3 claims (land, resources, mining slots), we demand a reasonable timelag for preparation/implementation. We believe that almost 200 years will be required before manned mining installations and homesteading is safely feasible. For current nationals of non space-faring developing countries, this will take longer. Thus we demand that our rights to those claimed lands, resources and mining slots remain valid until Year 2500. Our claim holders must show evidence of human settlement or resource usage by 2500 in order to maintain possession and the right to ownership. We have sought expert legal advice on this matter. It rather mirrors the time-lag awarded to parties successful in gaining award of a GEO orbit slot (for satellite communications use) from ITU. They have 5 years to utilize the slot awarded. There are plenty of top space lawyers (world experts included) who are very interested in our claim and the legal impications it might have (see also the Mars Prize competition involving some elite space-law judges). World media are paying more and more attention and we aim to ramp that up through later 2019 into 2020. We believe we are now financialy well positioned for an international court hearing on this matter in 2020. The ICA (International Court of Arbitration in The Hague) has advised in writing that it stands ready to handle our claim. The Martians aim to update and save the Outer Space Treaty - and to Save us all! So we are not just greedy for money and land? … certainly not. The modest fee required to gain a celestial land claim (now just $9) is widely affordable throughout the world (more people living in India can afford this that US citizens). This satisfies the “province of mankind” message in the OST and also the “equitable sharing” stated in the Moon Treaty. We need these small fees, added together, to challenge effectively in an International Court. We think we can do it with just $1 million (but we recognise that the recent China V Philippines land dispute cost over $60 Million in the ICA). So we are not in it just for money. We do want to agitate the UN sufficient to sting it into updating the only law that protects us from NUKES in Space. Just think how dangerous it would be if several nations were to have such weapons aiming down at us. Think how much easier the impersonal use of such distant weapons might be compared to launching from national land. Also remember why, in 1965-1966, the USA pushed hardest to get the Space Treaty agreed: they realised that if both they and the Russians put nuclear weapons in space it would be a disaster; there could be no safe stand-off or peaceful equilibrium. Why?…because of the overwhelming benefit of being first to strike. From an orbital position over target, a first strike would have destroyed all opposition before an effective nuclear response could be initiated. That fact remains true today. Once nukes are up there, above our heads, it will be difficult to get rid of them … they will pose a huge threat to us all. Dont let it happen! We want that possibility to be absolutely minimized. A strong, modern, fit-for-purpose Space Treaty is what we need. We also need a nimble space regulatory body which is pro-commerce (to sign off new mining contracts) yet still protective of wider celestial lands. Our campaign, based on our claim of possession of Mars land, is aimed at getting that vital update to the OST and facilitating the creation of a nimble commerce-friendly regulatory body. Of course, in making such a robust land claim, we are giving our fellow claimants (The Martians) a genuine opportunity to own loads of Martian land (their descendants may reap the benefits), or instead gain a substantial payment from UN to resolve the matter more favorably for them. See our Declaration of Intent. Go on … Be a hero to your great great grandchildren … Save the Earth and give them Mars! 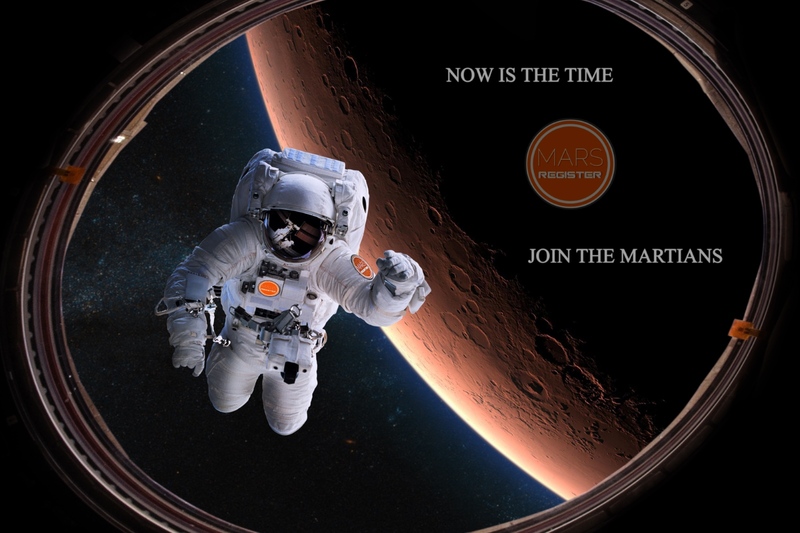 … Click here to Join The Martians!